Celebrate the holidays with WIT! 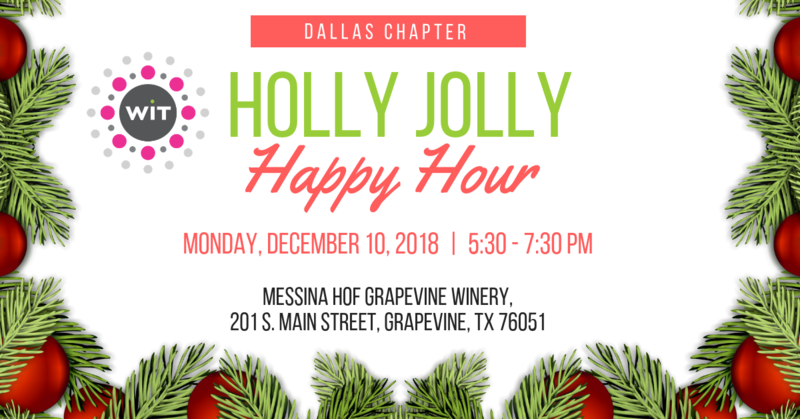 Join Dallas Chapter members and friends as we kick off the holiday season with a Holly Jolly Happy Hour. Come mix & mingle, and learn about the events being planned for 2019, including an exciting announcement about the WIT Book Club. This is a pay-your-own-way event. Non-members are welcome to attend, so invite your friends and colleagues too.